Give it a custom error message incase there is ever anything wrong with your briefing… let’s hope not! Now hit SAVE and click on ADD NEW FEED underneath! 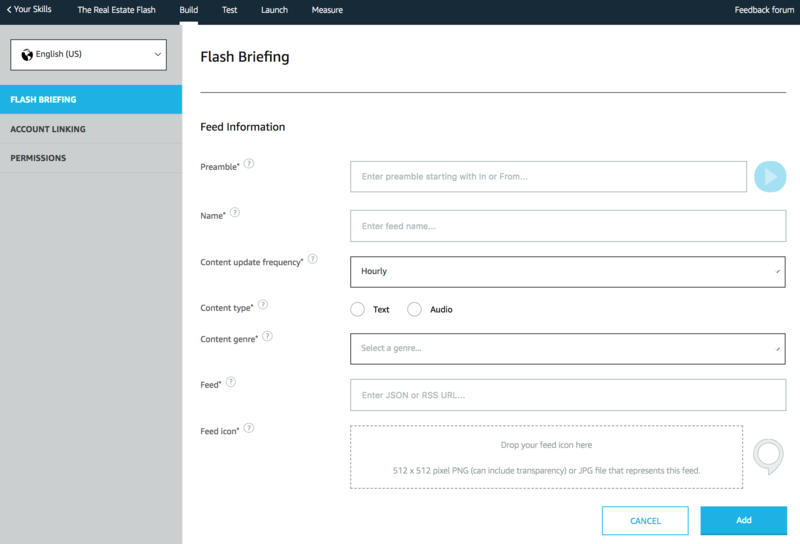 Give your Briefing feed a name. 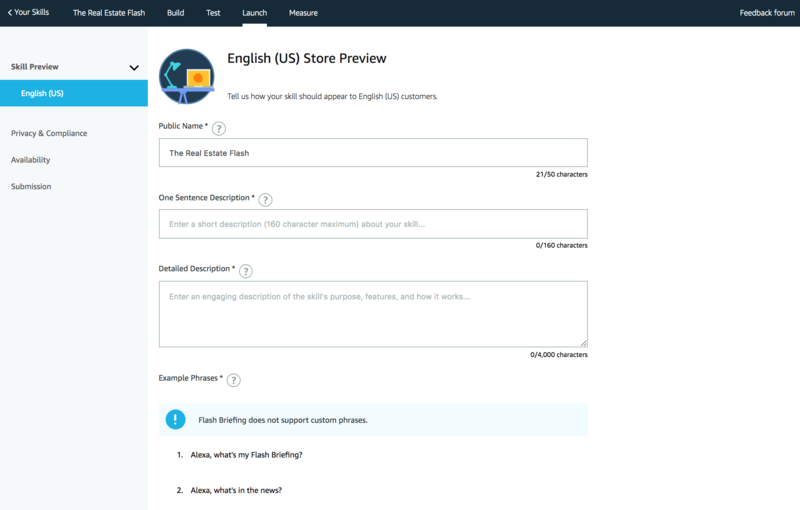 Once again this is what shows up in the Alexa Skill Store and Amazon.com. We chose “The Real Estate Flash” for this example. 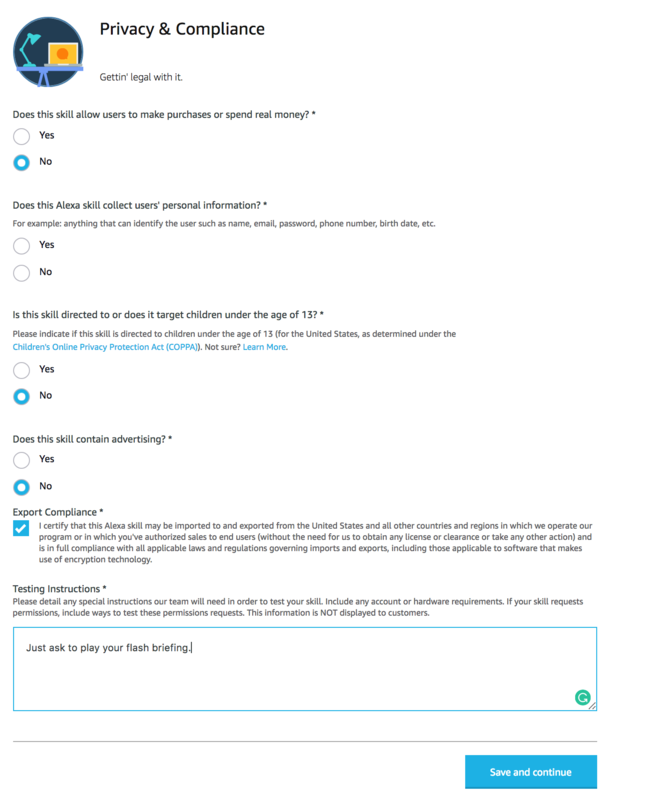 Choose how often you want Alexa to play new content. We suggest weekly so that if you miss a day it will continue playing the last uploaded episode for 7 days. 6. Add your FEED URL from the SoundUpNow.com “My Sounds” page. Just click the icon to copy it. *You MUST have an audio file uploaded to SoundUpNow.com so that Amazon can test your Briefing. Just make a quick intro episode if you’d like. Upload a 512 by 512 icon. You can always come back and change this later. Hit ADD and let’s keep moving! Now go ahead and click on LAUNCH in the Navigation bar. For quicker approval just copy the first line from your “Long Description” and make that your “Short Description”. We don’t have a great reason for this besides the fact that we’ve seen Amazon NOT approve people because the long and short differ. 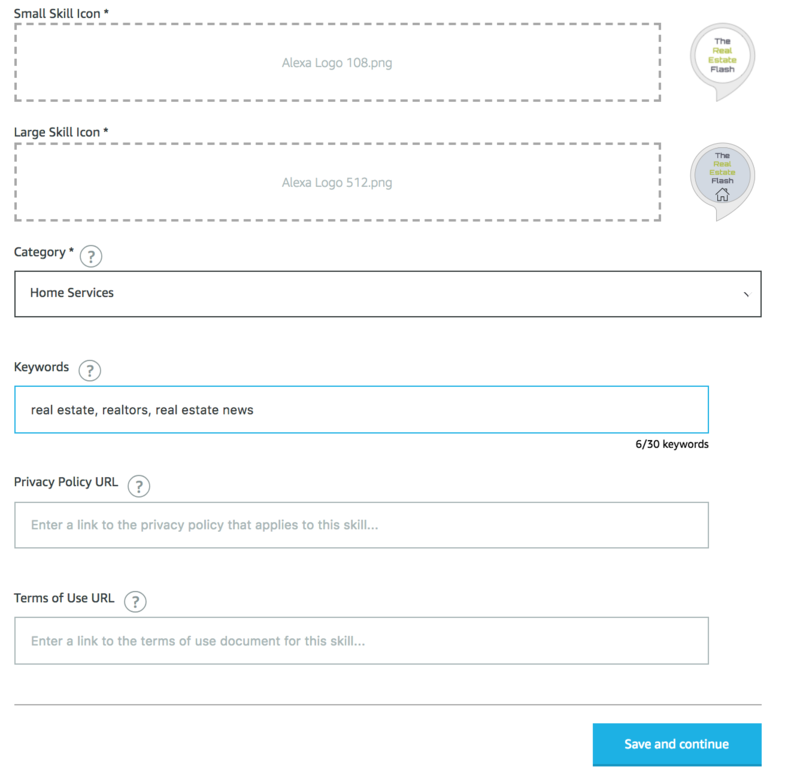 As of right now you do NOT have to upload either of the policies but it’s best practice to do so. We selected no on all of these options as Flash Briefings do not currently let us utilize any of these skill features. For testing instructions just simply tell Amazon to test by asking “Just ask to play my flash briefing. 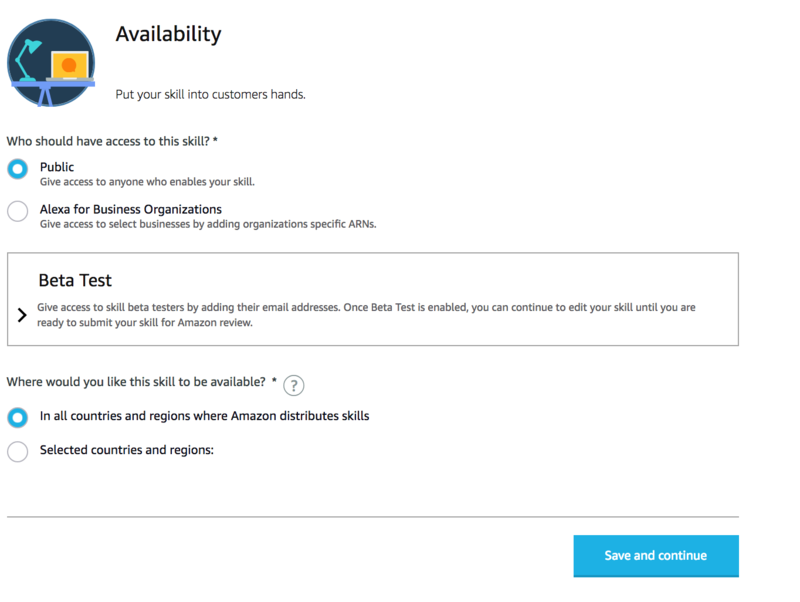 If you want this available on the public Amazon Skill store select Public. 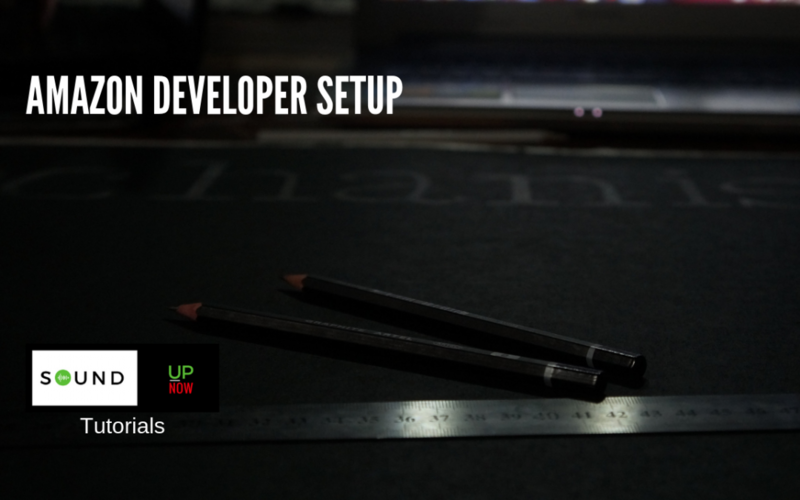 If everything is ready, go ahead and submit for certification. 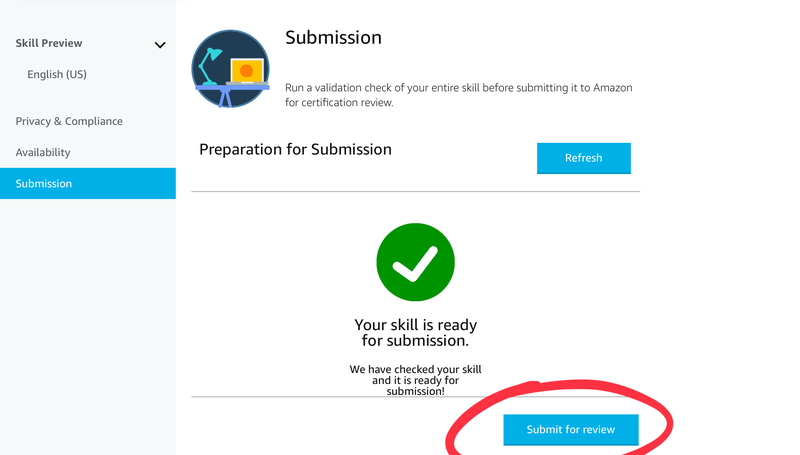 Amazon can take an hour to a couple of days for approval. That’s it! From now on you’ll only need to upload and schedule just like we show you in the link below!